And then there were seven. Games that it is. And the one today is as interesting as it gets when it comes to subplots, because Steve Bruce will be standing on the touchline with Villa on the pitch, only this time he’ll be trying to get his Sheffield Wednesday side to put a dent in his former club’s promotion hopes. You can’t blame him. It’s his job, and he’ll never forget the Cabbage of Fate. What does he bring to the table? Well, Wednesday have been on a very good run under him since he took over in December. They’ve won five and drawn six, and haven’t lost. And now they’ve got a realistic shot at making the playoffs. So, Wednesday are a well-organized side that’s tough to break down and doesn’t lose. But does he hold the key to breaking Villa’s momentum and five-game win streak? Tactically, I don’t know that Bruce brings all that much, a view we’ve all debated to death since he arrived. He didn’t fare particularly well against Dean Smith and Brentford, losing two and drawing two. Bruce did manage to chip down the margin of defeat in that brief span, from 0-3 to 1-2, but never got the better of them. And now Smith has more to work with and a full squad that’s flying. But there’s a bit more to it than that, given that when Smith took over, the first things he emphasized was the players’ lack of fitness. Then there was the coaching aspect, all the details of how Villa were doing things differently. He was never explicitly critical of Bruce, but neither did he seem to have much time for him as a manager, and made no bones about why and how Villa were underachieving. Bruce has to be smarting from that, and will be pointing to his record with the Owls as proof that he does know what he’s doing. And then there’s the training-session video Villa put up this week, which perhaps might’ve been a bit pointed and/or cheeky, depending on how you see it. What it said to me is “Yeah, this is what’s different: look how sharp we are, look at the focus, drilling, intensity and professionalism.” A swipe at Bruce? A bit of mind games? A purely informational piece of content to give fans some insight? Probably a bit of each. But in the end it will come down to the players as it always does. The match means a lot to both sides, and we don’t know how the players see it in regard to being a statement on their respective managers. Wednesday players have to be happier than they were before Bruce arrived because their record is better. Villa seem to be happier under Smith because they’re playing much better, the right kinds of pegs are being matched up with the right holes, they’re fitter, faster, stronger and getting much more coaching. Which means they’re realizing much more of their potential as individuals and a team. Do they want to send a message to Bruce? No idea. Do they want to simply go out and notch another victory and take one more step toward locking down a playoff spot? I would imagine so. But I do have a sneaking suspicion they wouldn’t mind showing Bruce something. Anyway, what we know is that both teams will be up for it, and Villa will have a full 90 minutes’ running in them. They’ll be continuing with an unchanged side that’s tougher at the back and in full song elsewhere. They’ll be hoping that if they have yet another fast start they’ll make it count and put the game to bed early as they should’ve done last week. They’ll know they can tough it out for a narrow win if they don’t. They’ll also know they’ve got goals in them if they fall behind. It figures to be a tough match with a number of subplots that may have no bearing whatsoever on the outcome. As is so often the case, it likely will just come down to who has more confidence and wants it more. And perhaps which side accounts for Grealish or Bannon better. 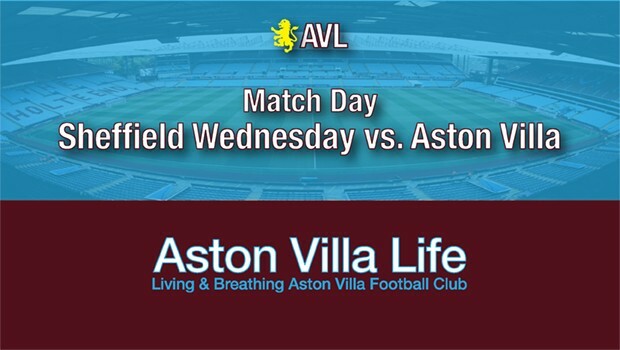 One streak will end today, and it’s obviously vital for Villa that it’s Wednesday’s. Game on. Subs: Sarkic, Tuanzebe, Jedinak, Kodjia, Adomah, Lansbury, Hourihane. 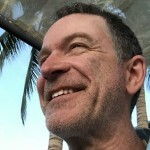 This entry was published on April 6, 2019 / John Clark. Posted in Aston Villa Blog, Match Previews and tagged "Aston Villa Football Club", "aston villa life", "aston villa match preview", "Aston Villa", "Dean Smith", "Sheffield Wednesday", "Steve Bruce", astonvillalife. Bookmark the permalink. We’re back for the run-in. Eight matches left, the first being Blackburn at Villa Park this afternoon. Villa are as healthy as they’ve been all season, Smith has good options, and it’s just a question of whether the side can keep the momentum they had going into the break. Thanks JC- Actually Bruce took over on the 1st of feb, sheff wed improved immediately after the old manager left, they went won 3 Drawn 2 lost 1 before Bruce officially became the manager and returned from the cricket in the windies. So it wasn’t anything to do with his presence he wasn’t there, Not sure when Steve Agnew took charge but the last manager left on the 22/12/18 and they won the next day. Excellent leader JC as usual, with a few thoughts to consider. Apart from Steer, most of the players playing today, that played under Bruce, are part of Dean’s team: Elmohamady, Whelan, McGinn, Grealish, Abraham, Taylor, so in fact it almost confirms Bruce’s selections, rather than there being players there that he would not give a chance to. Even the bench contains Bruce players in Jedinak, Lansbury, Adomah, Kodija, Tuanzebe, so Bruce may feel that he will be playing the team that he built in one way. His only failing was the experiment with Jedinak, which brought about his downfall. PP- thats a bit generous 🙂 starting the season with virtually no CB’s at the club, sending out Elphick, playing Tuenzabe at RB, Hutton LB, sending Steer and Green out too. cr*p. 0-1. And after a good start from Villa. We’ll have to see a comeback now. Shouldn’t have all converged on the ball and left Hooper alone. JC- Won’t be easy they are have lost one in 17 in the league. Thought they would be challenging this season anyway the new manager not working out but a decent side none the less. Well done, Green. Fantastic finish. And a great ball out from Mings. Looks like it’s going to be a matter of containing the counter. Also looks like Villa think they can get at the Weds defense by going over the top. Seen a lot of that so far. Bannon having another good game. Whelan struggling a bit so far…Must be the Bruce effect. Though I have to say, I’d be very surprised if this ends 1-1. Love one before the break. Rare mistake from Mings. Lucky there. Yeah, I know. Just no help. But basically we’ve controlled it by and large. Smith will be wanting a little bit better decision-making around the box. We’re trying to get at and through them quickly, lot of balls being cut out. They are there to be had, though. Not much in the way of clear-cut chances, and when Weds are getting forward, Bannon’s doing a nice job of running things for them. Green did an excellent job sweeping that ball back into the box from the end line, just a fantastic one-time from McGinn. But he, El Ghazi, and Whelan have all been trying to do a bit too much. 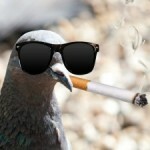 Just need to settle down a little bit, perhaps be a touch more patient. And didn’t mean McGinn is trying to do too much. Was including Green. I could see bringing Conor on for Whelan at some point. Nice moment, but again Green dallies instead of playing it straight to Tammy. And AEG has a great touch, then plays it across too close to the keeper. Tammy would’ve been in. Hause is struggling, think Axel’s going to have to come in. Hope Axel’s not too rusty. Need to regain the initiative. Think we could use Adomah’s workrate over Green’s. Time for some changes, I think. Just not getting it to stick. Nicely done, AEG…Bought us a breather there. AEG at least putting some intensity & effort into it. Adomah about to replace Green, Bannon down. If we weather the storm here, I think changes here could see us edge it. Yeah, don’t think Bannon’s going to be able to continue. Well done Villa fans clapping him off. 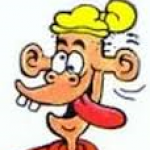 Grealish not at his best, either, today. AEG off for Kodjer…Fingers crossed. Oh…Kodjia tries for the spectacular. Good move and chance, nice work by McGinn. And there it is! Adomah 2-1! Supporters falling through the hoardings…awesome. In 5th if other results hold. Brucie Brucie what’s the score? That penalty save was massive. Well, outplayed the entire second half, but managed to hold firm and then keep playing for the win. Yeah, they really were up for it. But you have to win ugly, and I love the belief that there are always goals to be had. I take it that you didn’t bet on a back to back win? Happy Ian’s everywhere, we don’t fade at the end so much now. IanG- no but got the winner in the national 🙂 wonder what our odds are for promotion now? Huge win. PP did say we needed to emulate what Liverpool did last night. Well, we came back from a goal down to win 1-3 as well. Thanks for the running commentary JC. It gives a snapshot of feelings in real time as the action unfolds. But it was never a penalty so Steer’s save was justice. Sheff Weds looked the most likely in the second half but this Villa team has goals in it. I imagine Spud was sick seeing the away support crash through the hoardings after Uncle Albert scored. I’m off for a few jars of ale. Very good day, IanG, and no, we don’t fade. You always feel like there’ll be a late surge and one or two chances at the death. The resilience of the team on this run has been excellent. The sky sports app highlights looked ugly but the result was as required. I will say that while I wasn’t happy being under the cosh, once again I wasn’t as nervy as I’ve been in the past. Mings, Hause, and Axel make things pretty solid, and apart from the danger on corners and a couple of crosses, most of the threat was held at bay. We got a little too deep, weren’t clever, again, clearing and taking the wind out of things, but we’ve gotten to be pretty hard to break down, even when it’s one-way traffic. And from the off, it seemed Dean was thinking the way to get at them was being much more direct, and catching them out on counters. There for a while, it just saw us giving it straight back to them, but it got us the equalizer. And apart from Green’s excellent assist on that one, I might be tempted to back to Adomah. Green’s struggling to play at both ends, and is taking too long, trying to do too much. He’ll get there, and if Smith wants to keep playing him, that’s fine, but I think Adomah provides a more consistent contribution and keeps things flowing better. Except he’s been out of form in general play & has tendencies to be anonymous & give the ball away. An ugly win, but that is what we need to do if we are to stand a chance of going up. JC’s commentary very good for those who did not see it. I was lucky and able to watch the game, which wasn’t pretty. Great goal from McGinn for the equaliser, and a good cross in from Green. Green for me, apart from the assist was struggling, and so was El Ghazi, while Grealish was not really at the races, fortunately Whelan and McGinn were playing at their usual level, as was the defence, but Tammy was getting no real service, and once again the difference was bringing on Uncle Albert and Kodija. We were also helped by Bannan going off injured and Wednesday dropping down a peg. Two great goals to finish the game off, and I think there will be a few changes now for the Rotherham game. No, he hasn’t been in the best form and I wouldn’t be at all surprised to see them share the time through to the end. Tony Daley, though, was saying the same thing, that Albert tracks back better and works harder off the ball. Green basically just has to keep it simple, not try to take so many men on so often, and just make the quick pass. He’ll get there, I’m sure. Agreed on Grealish…I’m almost wondering if he’s hurting again. Didn’t really see him looking to take men on, for example. Could’ve been instruction, but he didn’t really seem like himself. Had more than one wayward pass he’d normally complete. Thought Whelan had a subpar game as well. Caught in possession, lot of through balls that got picked off and came back at us. Not all bad, by any means, but McGinn was definitely the best of the bunch. You have echoed my thoughts, so I hope that there will be some rotation in the Rotherham game. A good ugly win seems to sum it up. Very good preview and running commentary by JC. Great to see the team pick itself up over the last month or so and give us a strong ray of hope for promotion. One of the biggest failures yesterday was the total wastage of dead ball situations, both corners and free kicks, and could have cost us, but for the late injury time goals. We need to be really on the ball against Rotherham on Wednesday, when three points for them will lift them out of the relegation zone, and they will be more than up for it, after yesterday’s win. Good point about Rotherham PP. they have a hell of a lot to play for and having only lost 3 games in the past 12 (all against top 6 clubs) they’ll be some self belief too. Any complacency on our part will see us having to play catch up again. Talking of which We are now 2 goals behind WBA with 73 one more than we managed all last season, we have conceded 14 more though at this point but have lost 2 less games if we can keep winning. We can’t overhaul last seasons 24 wins though to many drawers. Worth watching this Vlog from the away fans perspective, especially the last 5 mins and penalty save. Special mention for Kodjia who despite being a flash and greedy bugger probably turned the game too. PP- I think without Hourihane on the pitch those set pieces lose something. Rotherham have only lost 4 at home all season, maybe a consequence of their small ground but we need to be up for it no doubt. Heres a thought, how many players would you now see us keeping if we go Up? seeing a decent core evolving and no little skill in Jack and mcGinn, Ohare is really blooming at Carlisle so I would add him to the number. I’ve calmed down now although I must say my coleslaw and potato salad last night tasted so good. I thought the performance was one of our poorer ones of late, but that may be down to Sheff Weds. So a win in those circumstances is really uplifting. Villa’s equalizer was sublime. Ming’s exquisite cross field pass, Green’s exceptional cross and McGinn’s breathtaking onion bagger. We have winners at the back, midfield and up front. I agree with comments from other lifers about Rotherham. It will be altogether a different game based on no nonsense tackling and route 1 attack. We will need to front up or we could get a bloody nose. A couple of fresh legs would help, but I’m sure DS knows the way forward. This season we have scored so many injury time goals, even under bruce. never known anything like it. makes a change going against us! Know the feeling Heroes and Villans, but fortunately, I was watching a very good live stream, so watched as Tammy managed to recover, turn, and stick it in the net! A great feeling, especially having triumphed over Wednesday, with the only sad moment being Bannan having to go off, but it certainly worked in our favour, and it was very respectful of the Villa fans to cheer him off. Wonder what old JL is making of all this, and whether he has come to accept that Dean has in the end managed to do a better job with mainly the same players…..
what has happened to JL? Rotherham will be tricky. only lost 4 times at home. One pundit thinks it will be us and Leeds in the final so that last but one game might be telling. Much rather have derby or WBA over two legs than Leeds or Sheffield. That said we have come close to beating Leeds with 3 RB’s in the defence and no Jack, also came back from the brink against Sheffield to 3-3 also without Jack. The one thrashing was with a decent enough side at Sheffield under Bruce with no Tammy and unfortunately Jedinak at CB. Fortunately Derby & Bristol City play each other at the same time we play Leeds on 27th. Also BC play the baggies tonight, & let’s hope Derby screws up at Blackburn. Then there’s us playing BC on 13th at home, but we need to keep winning anyway. We also could do with Small Heath inadvertently doing us a favour against Derby on 19th. Then BC’s away game on 22nd against Bruce’s lot is not an easy game. Neither is their 30th April Tuesday game against Millwall away, as Millwall will be fighting relegation, & at home to boot. Finally Derby’s Wednesday 1st May evening away match against Swansea is not a foregone conclusion. Neither is the last day of the season’s game against the Baggies. We need to keep on winning, so a 6 point gap by the last 2 games would make it academic. The Baggies have given their customary goal away in the first couple of minutes. Now it’s 2-0 to Bristol City via Weiman of course. It’s only 20 minutes into the match. Derby 0-1 down with 10 minutes to go. Happy to see Bristol City beat the Baggies with Weimann’s contribution, and Baker doing ok .
Hopefully we will take advantage of their defensive weaknesses, but was impressed with their crosses and dead ball use. Pity we don’t have a throw in expert like Dwight Gayle, as we tend to waste all ours. Tonight’s results pretty well going in our favour, and now looking forward to tomorrow’s offerings. I’m less happy as we’re now 6th with BC 2 points ahead, even though Derby are now 2 points below us. All on same games played. Alright. Fresh sheet up for Rotherham.